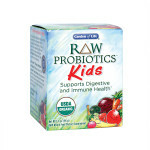 Feed your child’s body with Vitamin Code® Kids, a yummy, cherry-berry chewable multivitamin specifically designed to meet the unique nutritional needs of kids. Vitamin Code® Kids is made with Food-Created Nutrients, providing the essential vitamins and minerals kids need for extraordinary health and vitality. Your child’s body is designed to recognize and utilize nutrients best when they come from food. 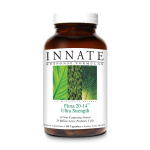 When vitamins or minerals are isolated from food or synthesized in a lab, their cofactors can be removed, inhibiting their ability to effectively nourish the body. While a diet rich in whole foods is the best way to consume nutrients, if you are going to supplement your child’s diet, you should seek out a whole food multivitamin made with Food-Created Nutrients. 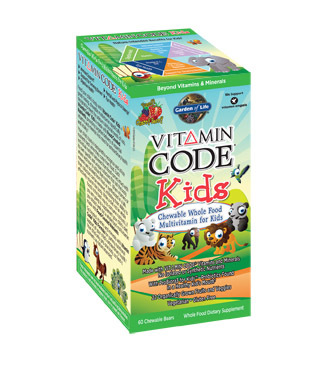 Vitamin Code Kids is for children ages four and up and is vegetarian and is gluten-free. The Food-Created Nutrients in Vitamin Code® formulas are cultivated with their unique Code Factors™ intact, enabling natural recognition of nutrients by your body. The Fruits & Vegetables in Vitamin Code® Kids are organically grown. 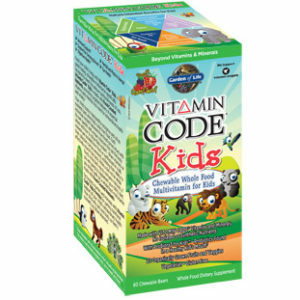 Go beyond vitamins and minerals with Vitamin Code® Kids Formula for yummy nutritional support of your child’s extraordinary health.† Your child only gets one body, so feed it nutrients as nature intended.